30 years after a deadly tornado tore through Wichita Falls, one survivor tells us his story. The latest proposed budget from the Trump administration calls for dramatic cuts to environmental protection, as well as weather and climate research. The National Oceanic and Atmospheric Administration faces $1-billion in cuts in 2020, compared to its current budget, if the proposed budget is approved by Congress. 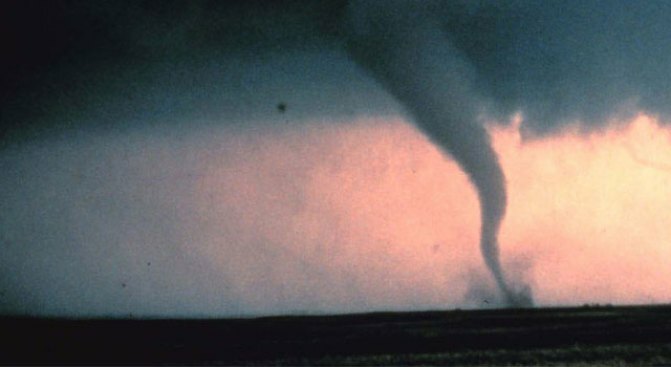 The budget proposes eliminating a tornado research project in the Southeast, designed to improve forecasts, and also calls for a reduction in surface weather observation sites across the country. While also reducing the investment in numerical weather models, a critical tool used by meteorologists to predict the weather accurately, the federal government says it will add new investment into an Earth Prediction Innovation Center. The Department of Commerce says that investment will partially offset the reduction in funding to the modeling sector. Climate research in both the Arctic and Antarctic will also face either funding reductions, or complete elimination, under the proposal. Research and monitoring programs for the endangered North Atlantic Right Whales, which frequent New England waters, also face funding cuts under this plan. Funding reductions are proposed for New England’s fishing industry, as well. The budget would cut funding for fisheries monitors across parts of the Northeast. At the Environmental Protection Agency, next year’s budget is proposed to come in just over $6-billion. That would be a 30% reduction, year over year, for the Agency which is responsible for keeping water and air safe and clean across the country. In a blog post, the Cambridge based Union of Concerned Scientists calls the proposals, "shockingly short-sighted, with long-term implications for our nation’s scientific enterprise." The proposed budget will now be debated in Congress. Similar dramatic cuts were proposed for last year’s budget, but in that case Congress did not approve all of them.